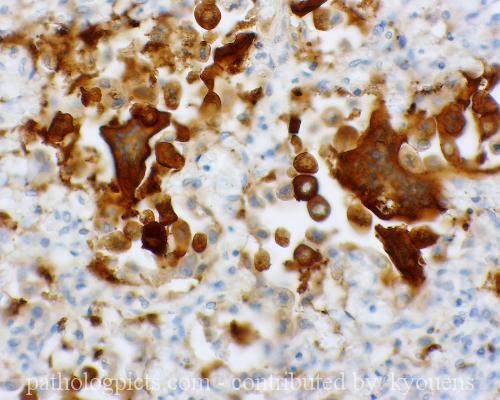 Additional Info: This is an immunostain for respiratory syncitial virus. Multiple giant cells are present. An extensive panel of immunostains was performed, including adenovirus, measles, herpes, varicella, and others, all of which were negative except RSV.